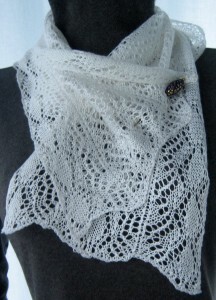 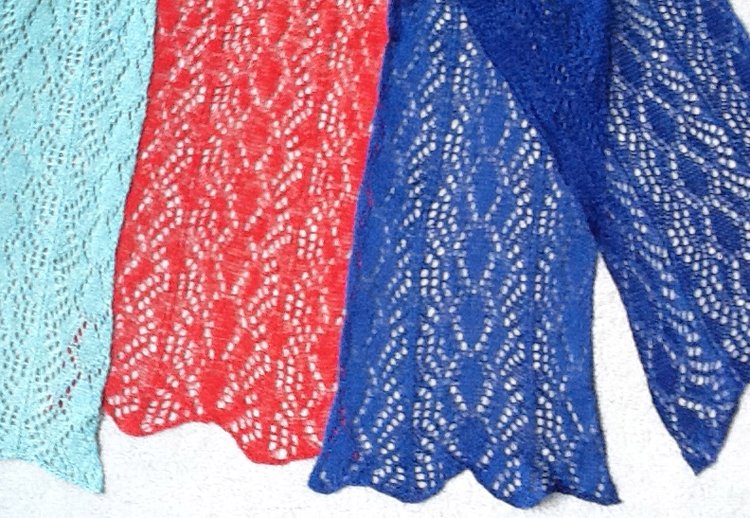 My new production line of lace scarves, of varying fiber content, after pressing. There is an average of 10 lace carriage passes for every one row knit. 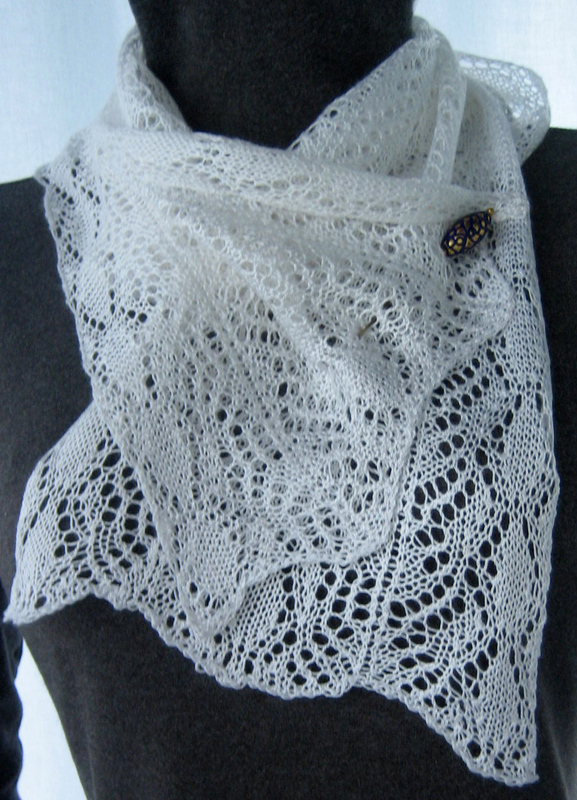 Though a bit daunting for production, I am considering knitting some shawls in the same pattern and am in the process of exploring repeats for shawl borders.